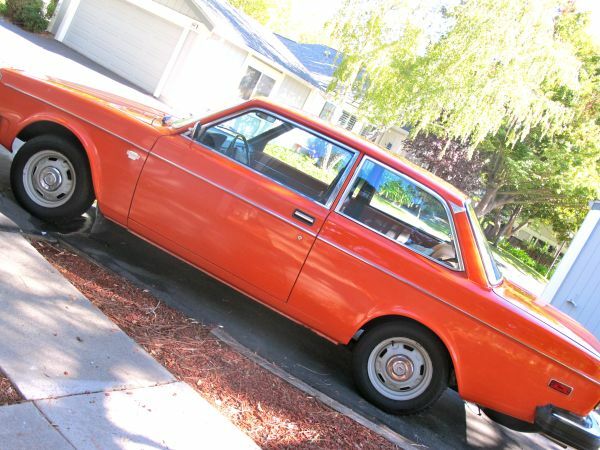 Daily Turismo: 5k TTIT: 1975 Volvo 242 DL; Pumpkin! Welcome to another edition of TTIT: Thank Thor its Thursday...known here at the Daily Turismo as Thorsday. 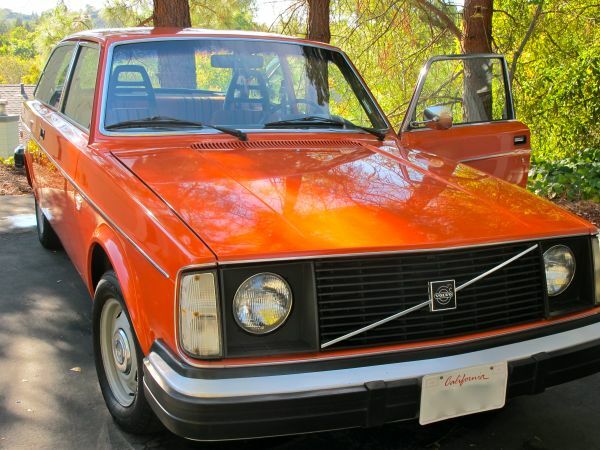 Today's Thorsday feature is a 1975 Volvo 242 DL covered in an electric shade of orange and is for sale in SF Bay Area, CA for $6100 via craigslist. The asking price is a bit optimistic but the color combination is Cinderellarific! 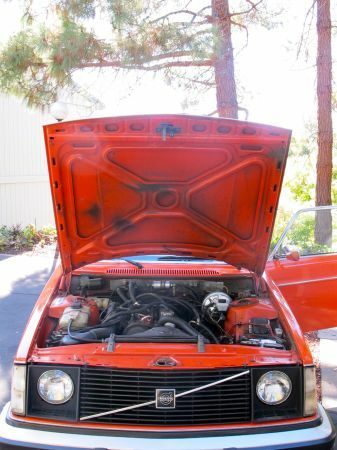 This round-eye 1975 model year celebrates the first year of Volvo 200 series arrived in the USA and the only year of CA smog exempt examples. The smog test requirement isn't a huge deal for stock well maintained vehicles, but can become a nuisance if you plan on modifying/upgrading the engine - even if those upgrades reduce tailpipe emissions. This 242 is powered by its original B20 engine, a 2.0 liter inline 4 known for its low end grunt and longevity. This one has been rebuilt 50k miles ago, puts out approximately 89 horsepower and is mated to a 4 speed manual transmission. 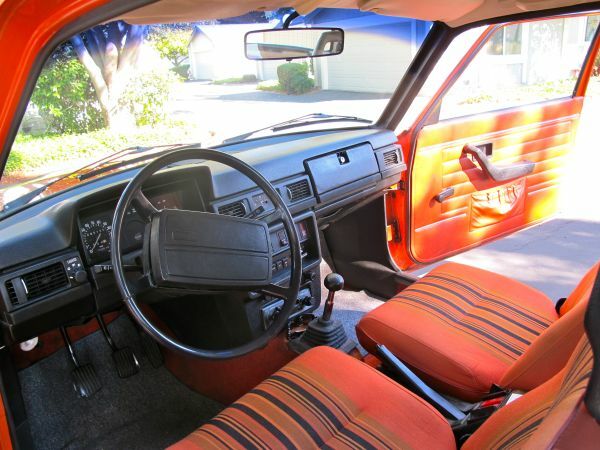 Inside we are greeted with a sweet combination of orange/black striped seats and classic black dash. The inside of this one looks well maintained in the photos - much better than the DTPC and won't regularly poke the driver in the rear with rusty seat springs. The seller states that "A/C works too but needs a charge of freon" - which is a minor enigma as this is typically an either/or statement. Either it works or it needs a recharge. While we do like a sweet 242, the asking price is seriously optimistic and we hope the seller understands the market well enough to accept 'lowball' offers. Regardless, we think you should put on your glas tofflor and head to the ball before this carriage turns back into a pumpkin. ~ sweet, i love 242s & this one is among the nicest i've seen in a couple years. not my favorite shade of gray and 5speed or overdrive would make it more attractive. some might say the upholstery is sheep-skin seat covers best sales tool. my most recent 'round-eye' (a'77 five door) had 420,000mi when its next owner took over.